As they do every year, Forbes has compiled a list of the Hollywood’s most overpaid actors. Their methodology is simple: How much box office did the actors generate for every dollar they were paid? And yet, the results can be devastating: What star wants to wake up to see themselves bandied about as overpriced tchotchkes? Surely, as the list made the rounds last night, a few plucky agents had to duck some whizzing iPhones. But see, we’re looking at it all wrong: The important thing here is that everyone’s making money. Eddie Murphy is the most overpaid actor in Hollywood — at a scant $2.30 return for every $1 of salary — because no one wants to see him in live-action movies anymore? 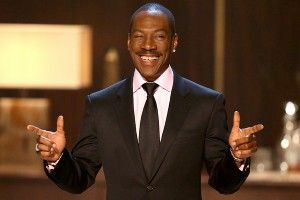 Congratulations, Eddie Murphy: despite your latter-day sins, you continue to get paid lots of money! (This one in particular seems fine, as a late-breaking settlement of debts. Like, I have no idea how much he got paid for Trading Places, but it almost definitely wasn’t enough.) Katherine Heigl only turns out $4.30 per buck? Well, that’s downright amazing when you consider the fact that almost everyone hates her! Nicolas Cage can’t muster more than a $6/$1 ratio? Try telling his tax lawyer that’s a bad thing! Making terrible movie after terrible movie and still getting paid lots of dough — surely, a feat worth celebrating.